DRESDEN, Germany, June 30, 2011 (ENS) – The United Nations today added 18 new sites to its global list of biosphere reserves, bringing the total to 581 in 114 countries. Biosphere reserves are places of outstanding value recognized by UNESCO’s Man and the Biosphere Programme where local communities are actively involved in socio-economic development and biodiversity conservation. Meeting in Dresden, the International Coordinating Council of UNESCO’s Man and the Biosphere Programme added sites in Lithuania, Maldives, Saint Kitts and Nevis, and Togo for the first time to the World Network of Biosphere Reserves. Biosphere reserves are sites for experimenting with and learning about sustainable development, the council said. The Man and the Biosphere Programme is an intergovernmental scientific program aiming to set a scientific basis to improve relationships between people and their environment globally by combining natural and social sciences, economics and education. Launched in the early 1970s, the MAB Programme is concerned with problems at the interface of scientific, environmental, societal and development issues. By focusing on sites internationally recognized in the World Network of Biosphere Reserves, the program strives to identify and assess the changes in the biosphere resulting from human and natural activities and the effects of these changes on humans and the environment, in particular in the context of climate change. 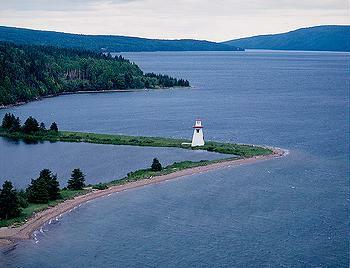 Bras d’Or Lake, in Nova Scotia, Canada, which encompasses a saltwater estuary watershed inland sea with three passages to the Atlantic Ocean. Mao’er Mountain in China, which features a mountain landscape of exceptional scenery, with peaks reaching more than 2,000 meters (6,561 feet) above sea level. Corredor Biologico Nevados de Chillan-Laguna del Laja in Chile, which is located in the northern part of the Patagonia region and is a global biodiversity hotspot. Songor, Ghana, which is characterized by a unique combination of brackish estuarine, freshwater and marine ecosystems with mangroves, islands and small patches of community-protected forests. 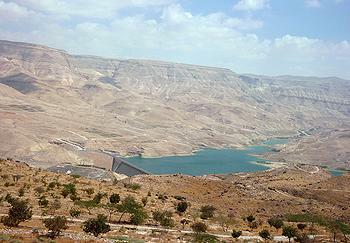 Mujib, Jordan, which is part of the Dead Sea basin and Jordan Rift Valley landscape. Zuvintas, Lithuania, which includes lakes, wetlands, mires, peat bogs, and pine tree stands. Baa Atoll, Maldives, which harbors globally significant biodiversity in its numerous reefs. Berlangas archipelago, Portugal, which includes the Berlangas, a group of small islands and rocks, and the city of Peniche on the mainland. 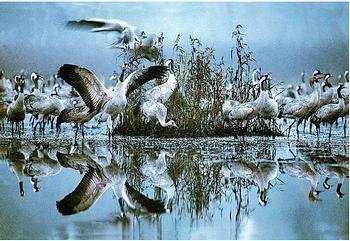 Volga-Akhtuba floodplain in the Russian Federation, which represents high-yielding floodplain meadows, spawning grounds, oak groves and internationally important wetlands. St. Mary’s, Saint Kitts and Nevis, which comprises cloud forests, mangroves and coral reefs. Blekinge Archipelago in Sweden, which includes most of the coastal areas and archipelagos of Blekinge. Nedre Dalalven River Landscape in Sweden, which covers 308,000 hectares (1,190 square miles) with wetlands, rivers, lakes, flood plains and productive forests. Oti-Keran/Oti-Mandouri in Togo, which encompasses shrubland, savannas, forest galleries and grasslands. The catchment of the Oti-Mandouri River is recognized as a Wetland of International Importance under the Ramsar Convention. Roztochya, Ukraine, which covers a total area of 74,800 hectares (288 square miles) with agriculture, stock-breeding and fish farming as its main economic activities. Bura’a, Yemen, which is a rugged mountainous area intersected by deep valleys rich in rare, vulnerable and endemic plant species. Santana Madeira, Portugal, which is the first biosphere reserve in the Madeira Archipelago. Despite an active tourist industry, agriculture dominates the economy. Ramot Menashe in Israel, which encompasses the Mediterranean Basin’s version of the global “evergreen sclerophyllous forests, woodlands and scrub” ecosystem types. Trifinio Fraternidad Biosphere Reserve, which stretches over parts of El Salvador, Guatemala and Honduras. The tropical humid forest is inhabited by many endemic species. Meanwhile in Vietnam, Cat Tien is the new name of the former Dong Nai Biosphere Reserve, which was designated in 2001. Two new core zones have been added to the site, bringing its total area to 966,563 hectares, UNESCO said. Australia withdrew Macquarie Island from the World Network of Biosphere Reserves because it is uninhabited by humans and human presence is a criterion for inclusion in the network.